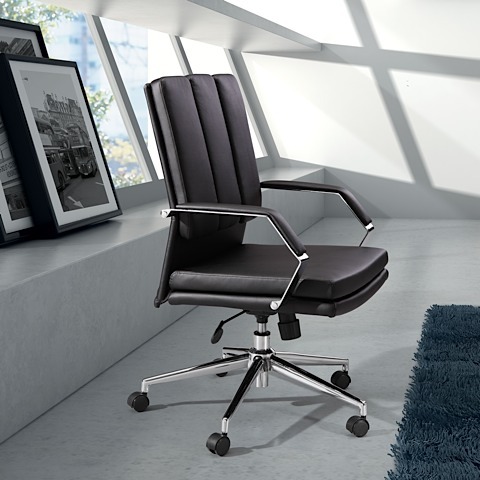 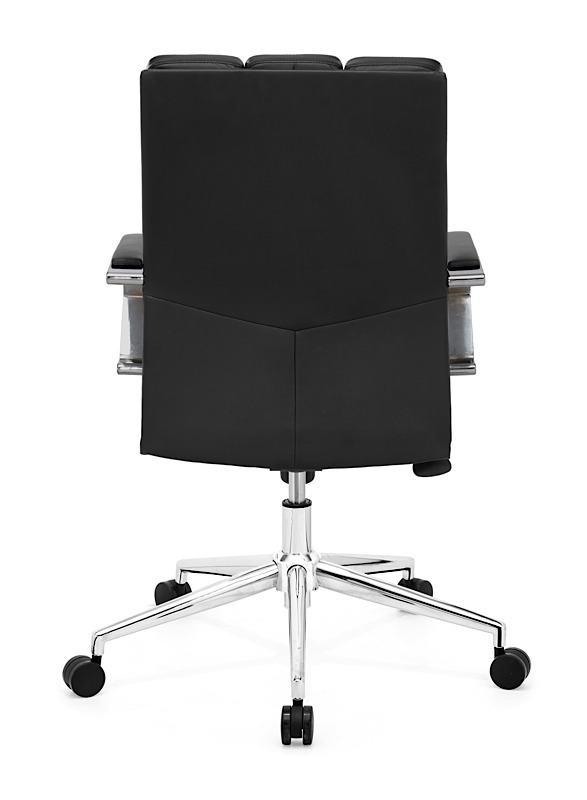 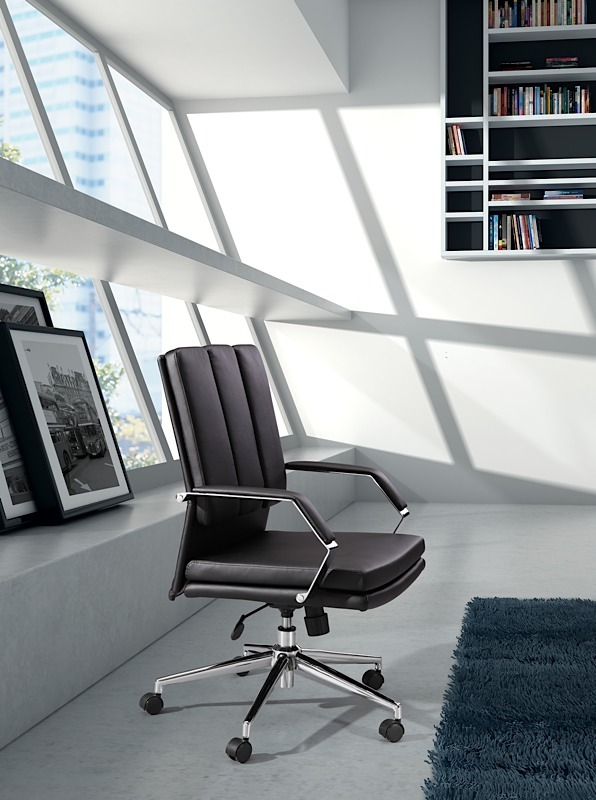 The commercial-grade Director Pro Office Chair has a leatherette wrapped seat and channeled back cushions for luxurious comfort. 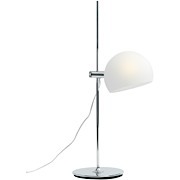 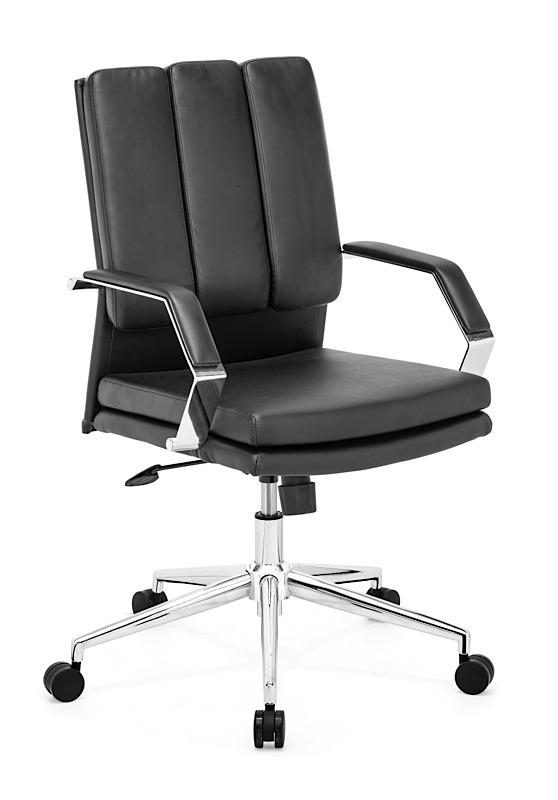 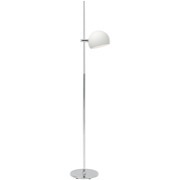 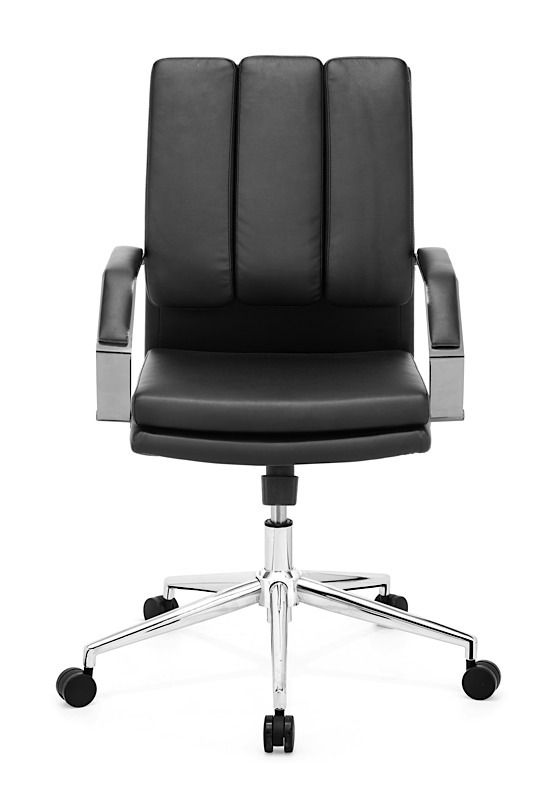 Director Pro also features chromed, solid steel, arms with leatherette pads as well as a height and tilt adjustment with a chromed steel five-star rolling base. 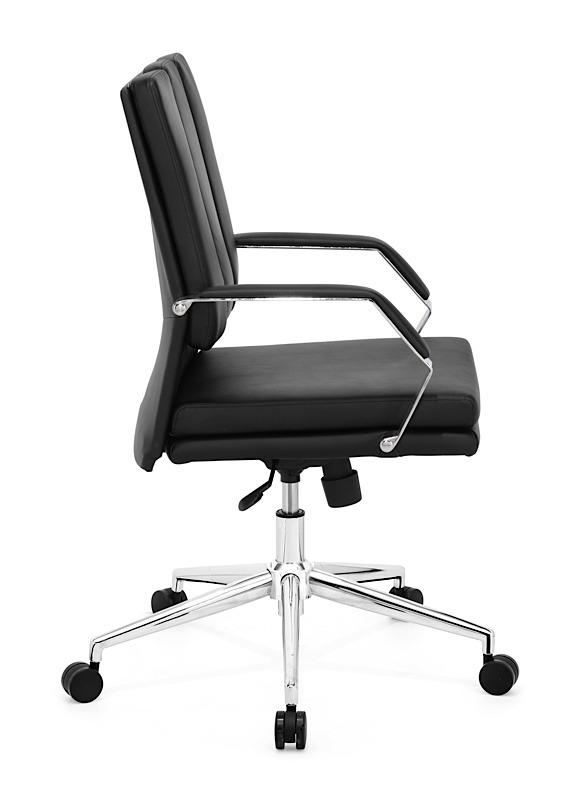 The seat height of the chair ranges from 18.9" to 21.7"; seat depth is 20".